In the wild at this time of the year breeding pairs, juveniles, and non-breeding adults are coming together to form their winter flocking groups. In captivity this is replicated by moving all the birds into our large display aviary. 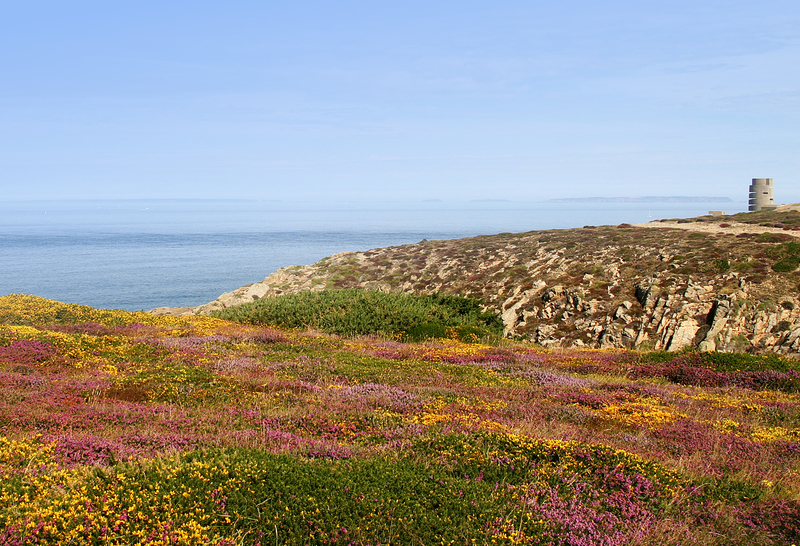 However, due to the imminent re-introduction plans we are keeping the potential release candidates separate from the other choughs. 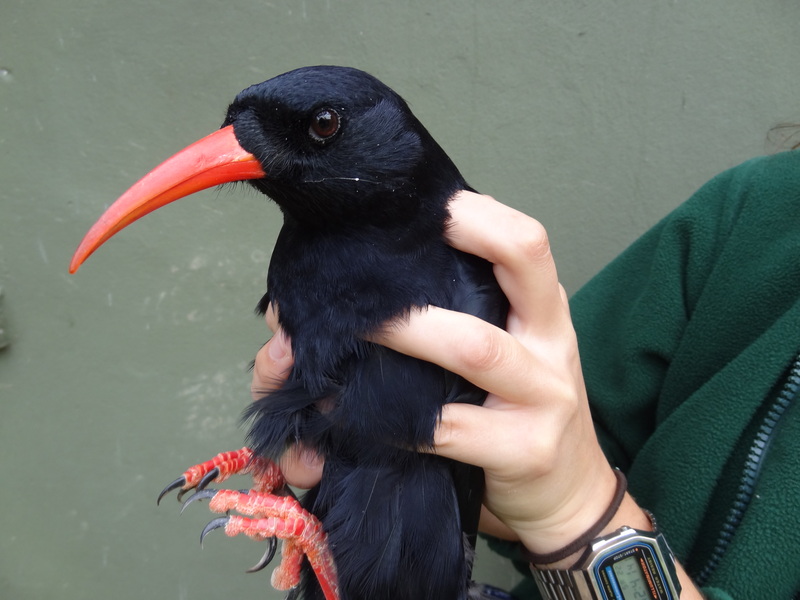 So Operation chough-fle shuffle was put into place by the keepers this month. 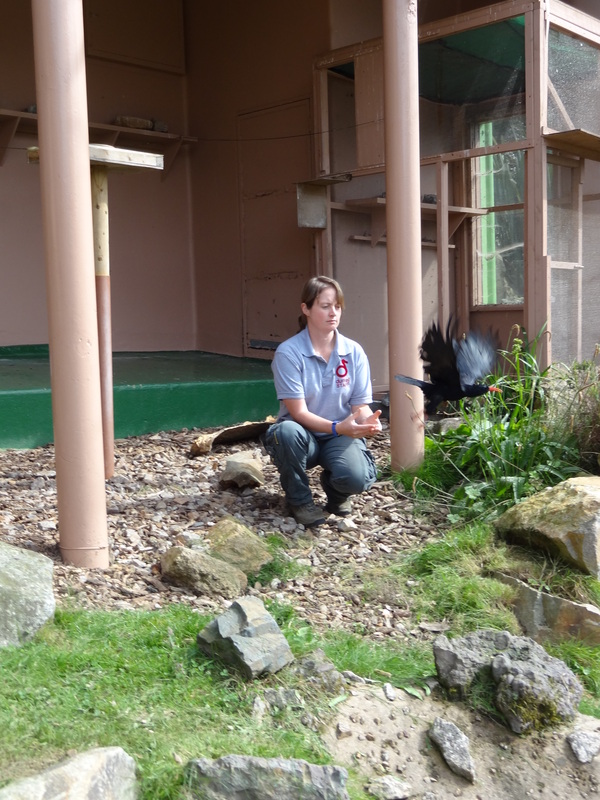 The shuffle began with the breeding pairs being moved out from their aviaries to off-show holding facilities (LNQ). 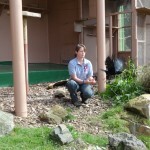 The non-breeding birds (release candidates) in the display aviary were moved down to the breeding aviaries. 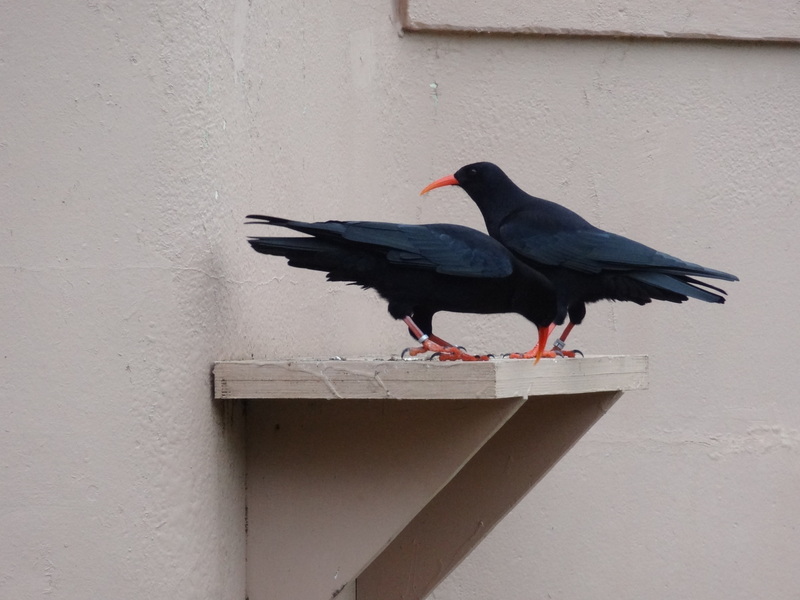 Then, finally, the breeding pairs could be moved into the display aviary. 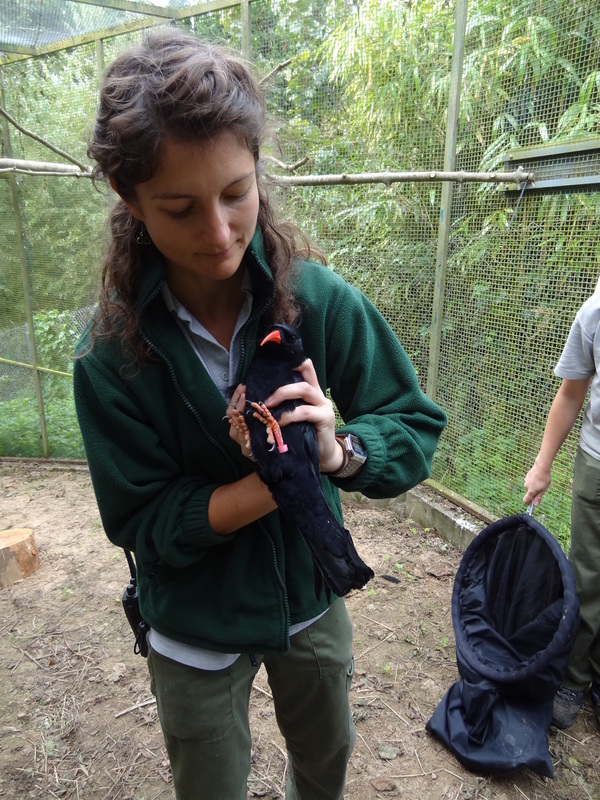 To avoid any negative associations with their keepers the non-breeding birds were netted by non-uniformed staff and handled by different species’ keepers. Once in the hand all birds were weighed, had a general health check, and had blood samples taken by the vet for disease screening. 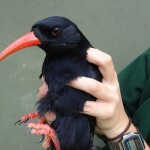 A group faecal sample was taken prior to the catch-up for disease screening, which was also submitted as part of Durrell’s bi-annual screening process. 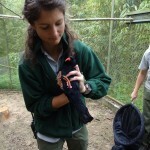 It took two days to catch up all six birds because they first needed to be lured into the shut-off cage before netting. After the first two birds were trapped the others became understandably wary of going in the shut-off, hence the two days. With the display aviary empty and cleaned both breeding pairs were caught up once again and moved down into the display aviary. They were released at the same time to avoid one pair establishing a territory before the other. Observations were made by keepers for the first two hours after mixing and continued intermittently over the next few days to make sure everyone was harmonious. 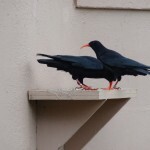 As expected, last year’s dominant pair, Tristan and Issy, made their presence known and repeatedly flew around the aviary vocalising. This was matched by Arthur and Gwinny although they preferred to stay perched high. There were a couple of mid-air scuffles in which Tristan brought one of the other birds to the ground but these only lasted a few seconds. The birds are more confident in the aviary than they were last year and are more tolerant of the keepers being in the aviary. Arthur and Gwinny are always first down for insects: this could be seen as a positive thing if the birds are more confident. However, it might be that the other pair is stopping them from getting to the main food dishes when the keepers are not there. This behaviour is being closely monitored by the keepers.